Last week I attended Dell EMC World (DEW) in Las Vegas—Dell Technologies’ premier customer, press, analyst and partner conference. This year, it was designed to showcase the work the company has been doing since the acquisition of EMC last year. The theme of the conference this year is “REALIZE”—as in, realize your company’s digital future. I’m probably the last to jump on these themes and buzzwords, but the reality is, businesses better speed up their transformation else be destroyed by their competitors. 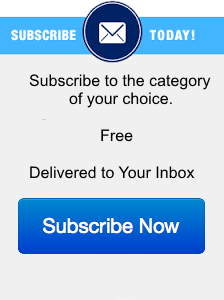 We’re in an age where one year you are great making and selling widgets, the next your customers or suppliers are competing with you and the next year you must switch to “widgets as a service”. Transform or die. I went into the conference this year hoping to see some solid evidence of integration between the two companies—while there was some progress showcased at the last conference I wrote about here, it was clear they had a good start but still some work to be done. Michael Dell kicked off the Day 1 keynote walking onto the stage to Van Halen with high-level statements about digital transformation that us analysts are subjected to time and time again, but as Chairman and CEO, he was there to provide overarching vision, not specifics. It seems like every new time I meet with Michael, he has even more swagger, and I take that as a good sign. You’d have swagger, too, if you just pulled off the biggest tech LBO ever and things were working well. 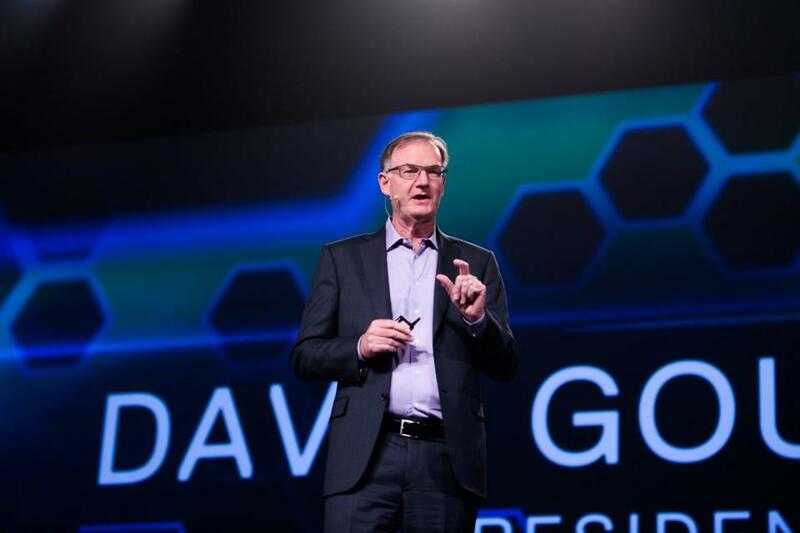 Michael eventually kicked the keynote over to President of Dell EMC, David Goulden, for the meat and potatoes of the address—here’s some of the big announcements made, and my initial take on them. In my mind, the biggest story coming out of the event was the announcement of the 14th generation of their popular PowerEdge Server line. Dell EMC claims the 14G delivers improvements in several different areas. First, it says the 14G provides scalable business architecture, that will optimize data centers for new and emerging workload requirements. This aligns very well with Intel’s new Xeon messaging. Secondly, it offers intelligent automation– using expanded APIs, and the new OpenManage Enterprise console (which provides unified server management). The third big area of improvement is integrated security, with new features like System Lockdown (protecting hardware and firmware from malicious changes), drift detection (which notices any firmware or configuration drift away from the so-called “golden baseline”), and its BIOS recovery (which quickly and securely restores configuration). The reason that this announcement really sticks out to me, is that in my mind it signifies the true unification between Dell and EMC—they’ve added a single pane of glass to manage all Dell EMC compute and storage units, and I think the 14G will drive into all the extreme-scale, converged and hyper-converged solutions to boot. It looks like the two companies have finally really come together. I may be biased as my company does a lot of work in compute and the SDDC, but it is what it is. Dell EMC also had multiple updates announced for Dell EMC’s hyper-converged infrastructure (HCI) portfolio—its VxRail Appliances, and its VxRack Systems and XC series. The VxRail Appliance line (co-engineered with VMware, and powered by VMware SAN) received several updates with their 4.5 version announced today—improved enterprise deployment features (streamlined installation, increased scalability), additional hardware flexibility, better interoperability with Dell EMC technologies, and support for the most recent VMware technologies. VxRack Systems was updated—VxRack FLEX now boasts support for Dell EMC’s PowerEdge R930 (which in turn will support more data-intensive applications) and FLEX also now utilizes Cisco’s Nexus 93180YC-EX switches to improve performance and scalability for software-defined networking. The Dell EMC XC Series will now be offered in three new forms: with Dell EMC Data Protection, with Pivotal Cloud Foundry, and the XC430 Express for small and mid-sized companies. Dell EMC converged and hyper-converged business is on a roll and have attained the #1 market share in a smaller, but quickly growing market. This reflects customers desires to move to a more software-defined enterprise and move to more an “easy-button” approach so they can focus on their business and software, not necessarily the raw infrastructure. I’m taking a keen interest in XC340 as it blends classic Dell and classic EMC technologies and can be taken through classic Dell’s SMB channels. It’ll be interesting to see how Dell EMC President and Chief Commercial Officer Marius Haas’s salesforce and marketing teams attacks this. One of the biggest stories of the show was the launch of new, flexible consumption models geared towards simplifying and speeding up the adoption of new solutions. One of the allures of the public cloud is the no-commitment, no capex down way of transacting. While not the first to do this, the company announced Dell Financial Services Flex on Demand, which aims to save customers money by cutting down the over-provisioning of storage solutions. Also announced was Cloud Flex for HCI, which offers customers a cloud-like consumption model geared towards its hyper-converged line of products. I think this could be a bit of a game-changer—historically, one of the benefits of the public cloud was that you only pay for what you want, no money up front, and are able to terminate without penalty. By bringing this format to Dell EMC servers, storage, VDI, and PCaaS, they’re leveling the playing field, and taking away some of the competitive advantage the public cloud has enjoyed. Moving forward, Dell EMC may need to keep up the pace with the monthly, daily, by the minute, and eventually, by the secondusage models I am seeing from the public cloud guys. The most interesting flex consumption models to me are the ones that leverage Dell’s end-to-end plays like VDI Complete and PCaaS. These are ones that will be harder to directly compete with and pulls resources from all over Dell Technologies. Another announcement made at the keynote was that Dell EMC was launching a new solution for data backup and protection, the Dell EMC Integrated Data Protection Appliance. The company is touting the solution as a purpose-built turnkey appliance that “converges protection storage, software, search and analytics in a single appliance.” Dell EMC says that this pre-integrated solution will provide data protection across a swatch of apps and platforms, while simultaneously providing native cloud-tiering. The company claims that with the IDPA, they’re seeing protection speeds up to ten times faster than the more traditional “build-your-own-data-protection” options, and as much as 20% faster than its closest market competitors. Also announced on Monday were some new Cloud Data Protection Capabilities. Data Domain Virtual Edition enables the back up of workloads and makes replication to, from, and within the cloud more efficient. Dell EMC says that this, working in concert with the Data Protection Suite, offers affordable disaster recovery to the cloud. 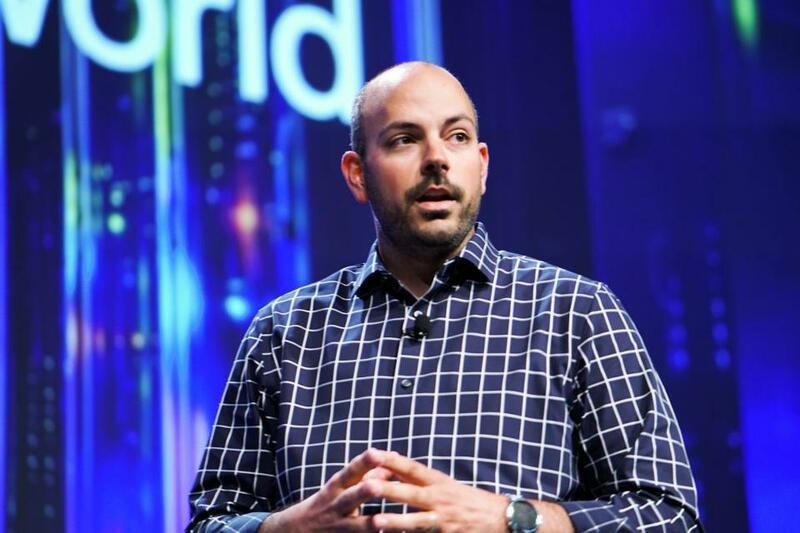 I see all of these new announcements as beneficial—Moor Insights has written before on the need for security to drive the cloud migration (check out the blog here), and this should give Dell EMC customers some boosted confidence. It’s good to see Dell EMC doing work on this front. Google Cloud Platform is coming strong after this segment and it’ll be interesting how this battle progresses. Dell EMC also announced a slew of next-generation updates to it’s All-Flash storage portfolio, which look to be significant steps up in terms of efficiency, power, and affordability. Dell EMC is #1 in all flash and are on a major roll here. The company introduced VMAX 950F (a new member of their VMAX family), XtremIO X2 (the next generation of XtremeIO), four new models in their mid-range Unity line (350F, 450F, 550F, 650F), and the SC5020 (an addition to their entry-level to mid-range SC family). Also announced as a new generation of Dell EMC’s Isilon scale-out NAS systems, that will include All-Flash, hybrid, and archive configurations geared towards intensive file applications. If you’re interested in more detailed specs on these new additions, you can read more here. I see All-Flash storage as a crucial key to the advancement of digital transformation, and it’s good to see that Dell EMC continues to innovate and improve in this area. While no one is unstoppable in on-prem, enterprise storage, Dell EMC is looking really, really strong. I wanted to also mention some of the highlights in my mind from Day 2’s announcements. 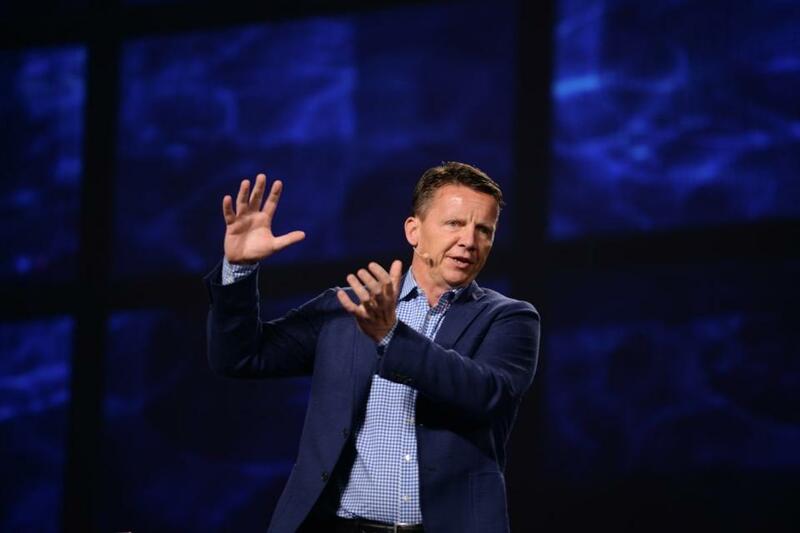 Day 2’s keynote predominately featured Dell EMC’s CMO Jeremy Burton (standing in for Jeff Clark, Vice Chairman of Operations and Technology), and Pat Gelsinger, CEO of VMware. Moor Insights & Strategy’s IIoT senior analyst Mike Krell recently published a research paper about EdgeX Foundry, the Linux Foundation’s recently announced initiative to speed up interoperability on the IoT edge (read more here). The basic concept behind the initiative is to create a more standardized IoT through the usage of plug-and-play components that can be combined, swapped, and scaled. Dell EMC announced on Day 2 that the company had contributed its Project FUSE source code under Apache 2.0 to the open-source initiative—a source code that consists of over 125,000 lines of code, and more than a dozen different micro-services. I think it’s great that Dell EMC is getting involved in the initiative—if the EdgeX Foundry succeeds at increasing interoperability and creating a new standardized ecosystem, then it is in Dell EMC’s best interest to be in on it on the ground floor. I am extremely impressed with Dell EMC’s leadership and Andy Rhodes and Joyce Mullen’s teams are on quite the roll here. It’s important they keep the heat on because their direct competitors would love to embrace and extend the approach. Last year at Dell EMC World, I felt the company was afraid to mention too much about PCs so as to keep focus on the compute and storage synergy of the new company. Not this year. PCs were on the main stage and bigger than ever. An important announcement from Day 2 was the launch of its new AR/VR Tech Partner Program. Brian Mullins, CEO of Daqri, took the stage to showcase some of the work his company has been doing with Dell EMC—smart AR glasses and helmets integrated with Dell EMC computing. We got to witness this technology demonstrated in the fields of manufacturing and construction. CMO Jeremy Burton did a great job standing in for Jeff Clark and it was great to see Frank Azor and gaming icon tim Sweeney talking about the next billion user platform. Dell EMC is right to be investing its resources in the future of AR and VR—we’re not quite there yet, but there’s going to be a time when this technology is a lot more ubiquitous. Again, it behooves Dell EMC to be here on the ground level so that it’s ready to ride the wave once it really breaks. Like VDI and PCaaS, this is another area of potential end to end synergy only Dell Technologies can provide. The last announcements I wanted to mention from Day 2 were the new technology integrations announced between Dell EMC and VMware. The two companies announced a new integration between VMware AirWatch and the Dell Client Command Suite, which VMware claims will “extend remote management capabilities for key Dell hardware system attributes to enhance AirWatch Unified Endpoint Management”. Also announced was the Dell EMC VDI Complete Solutions, powered by VMware Horizon and designed to provide a holistic desktop and application virtualization system. The companies are lauding the solution as more affordable, quicker to deploy, and easier to manage—which client virtualization solutions traditionally are not. If this isn’t an on-prem breakthrough, it’s certainly a good first step in the right direction. The challenge going forward are EMMs that are free from subsidization and cloud-native VDI and app streaming services. 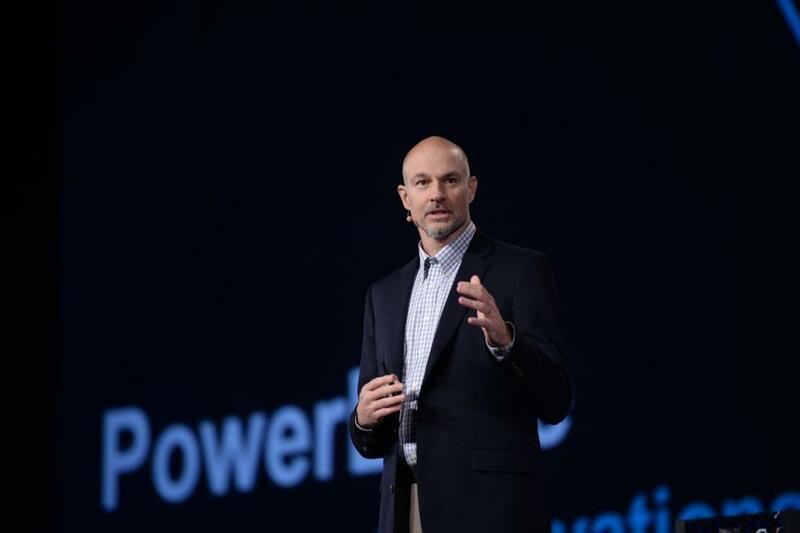 One another interesting announcement was the integration of VMware NSX network virtualization and security platform and Pivotal Cloud Foundry platform to create, essentially, an enterprise app developer platform with an easy-button. I didn’t have time to dig into the details and ramifications, but I will in a future post. There was clearly plenty of announcements and stories to digest from Days 1 and 2 of Dell EMC World. The company had to show continued synergy across all the Dell Technologies companies as well as success in the singular areas. That’s a hard thing to do because synergy typically requires giving up on singular features to pay for the synergistic features. The company appears to be firing on all cylinders across several fields—servers (gaining share), HCI (gaining share), data protection, storage (gaining share), IoT (EdgeX Foundry leadership), AR/VR. Did I miss anything? The big takeaway though from all of this in my mind, is that it looks like Dell and EMC’s integration is finally maturing. That’s what I was hoping to see demonstrated at Dell EMC World 2017, and that’s exactly what I took away from it.